I've started building a widget that needs to have an array inside an array. 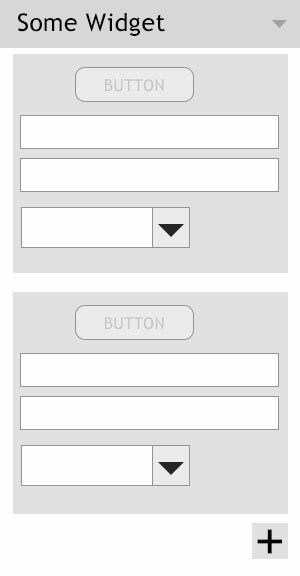 I'm trying to get the widget to have the ability to create multiple elements that will display on the site, but also has multiple fields inside each element...but after a couple days of searching and trying various things, I haven't had much luck getting it sorted out. I'm hoping someone can help straighten out the errors in my code here. It isn't saving the field data to the database, so I don't have the update command finding the values properly. If I adjust "$this->get_field_id('inner_elements')" and "$this->get_field_name('inner_elements')" in the first $fields['icontxt'] element and change "inner_elements" to "elements", it does save, but only the data for the last array element (to all three values, since I haven't figured out how to specify it in the update function). However, if I change all three from "inner_elements" to "elements", it doesn't work at all. In this code, I'm just trying to display 3 fields, then save the results, but I plan on building in a drop down list and other controls once this is working (so they won't all be the same input tag). From what I can guess, it seems the majority of my problems are in the way I'm naming the "id" and "name" in the input tags (inside $fields) and I need to save each specifically in the update function. The button will allow someone to select an image/icon, then the other fields will be additional values to that image/icon. Clicking the plus symbol will allow the user to create a new image/icon (array) and related fields (inner array). You need use diffrent id/name for each field. Additionally, number the group of fields (txt, lnk and lnktrgt) and add this number to the end of the field ID. The same should be done after clicking on "+" button. Should not $elements[$element_num] be here? You leave one index. inside update() function use $value = $new_instance['icontxt'];. Not the answer you're looking for? Browse other questions tagged widgets array or ask your own question. What is the difference between widget object and widget instance?